Tile roofing is an affordable option for homeowners in Iowa, South Dakota and Nebraska. When installed in homes tile roofing can last up to 100 years and can be less expensive than other types of roofing. Tile roofing can be a great option and can add value and beauty to your home. When considering a concrete tile roof it’s important to have a professional, certified installer apply the roof. At Waddle we hire certified roofing experts, not sub contractors. 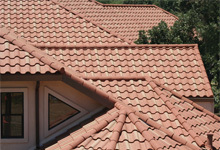 They can show you all of your options for tile roofing in terms of colors, variety, shapes and sizes. Concrete tiles are suitable for many different homes and climates. Concrete tiles are extremely durable and can protect your home from wind, hail and are fire resistant, and most importantly, affordable. Manufactured from a variety of fiber-reinforce cement products, concrete tile can be coated with plastics, enamels, thin metals and some even contain recycled material. A great thing about concrete tile roofing is he variety of colors you can choose from to match the style and décor of your home. When a roof is colored, it’s stained with a special pigment and glaze to keep the color protected. By calling Waddle Exteriors, you can get a free in-home inspection of your current roof from our certified roofing experts. 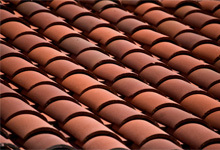 You can count on a trustworthy recommendation on tile roofing and there is no pressure to buy. Talk with one of our roofing experts today and discuss your options for a new tile roof in your Iowa home.